Is your hardwood timber wood decking slippery with mildew or algae, or dirty with mud and grime? Don’t worry. Decking is not difficult to clean if you follow our advice. There’s really no need for harsh chemicals to clean your decking. Commercial cleaners can shorten the life of the timber, and damage plant life in the surrounding area. Simple vinegar is capable of removing mold and mildew, so why not try this environmentally-friendly approach to get your decking clean. Leave for a few minutes, then rinse with the hose. Leave to dry naturally. In most cases, the above method using vinegar and a brush should be enough to get your deck looking clean and free from slippery mildew. 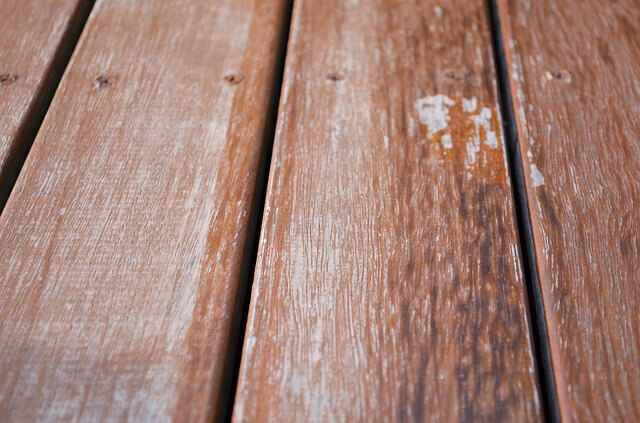 If you want to use bleach to tackle a really dirty deck, then try the following. It is important that you do not use chlorine bleach, which will damage the wood, as well as surrounding wildlife. It is normally not necessary to use a pressure washer to get your decking clean. Moreover, if used on the wrong setting a pressure washer can damage the wood. The methods outlined here will help you to get your decking looking great without the need for a pressure washer.